"Russian River Pinot Noirs are beautiful wines; this one is more Burgundian than our other Pinots, characterized by a soft, velvety, and very lush mouthfeel. Our 2008 is typical of this appellation with a mouthwatering structure that lingers on the palate with a long finish and softness. Both complex and integrated, it is a very pretty wine. 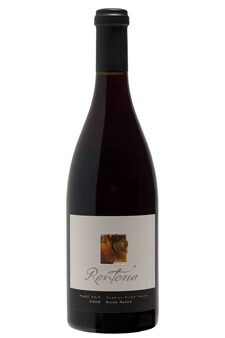 It has an elegance that is both refreshingly tart and subtle on the palate. The aroma is full of red raspberries and toasted nuts. This Pinot drinks well early on and should have a life of 8 to 10 years."